Ah, the short film categories. Categories that I tend to predict before seeing the majority of the nominees, then I forget to come back and re-write the articles once I’ve seen them all. This year will be no different, no doubt, so keep that in mind. That said, the animated short category is never all that hard to parse. Initially there was a lot of buzz about the animated short In a Heartbeat, which was uploaded online and went viral. But this crowd-pleaser did not end up here. Does this give more wiggle room to the Pixar front-runner Lou? Perhaps, although there is little conversation being had about the film. Cursory research shows that Lou, Dear Basketball, and Revolting Rhymes are the only three of the nominees that are tracking on the popularity meter of IMDb. Not that that means an awful lot, but it shows a slight edge for Revolting Rhymes over the virtually un-seen Garden Party and Negative Space. The real race in this category, at this time, appears to be Lou versus Dear Basketball. 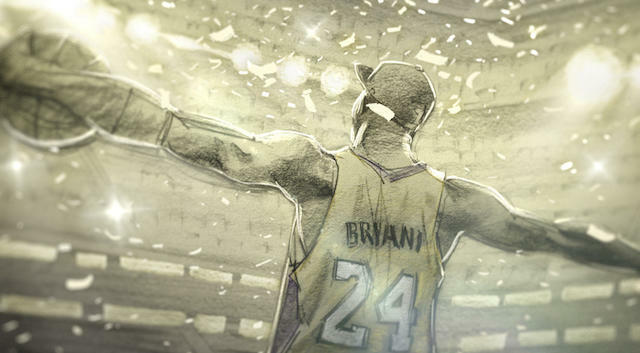 The Kobe Bryant poetry project has received the most attention of these five out of the gate. Not all of this has been good press, mind you, but you know what they say about press.